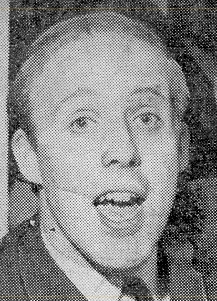 Before the Rev John Banner joined the group (in June 1964) as spiritual adviser, secretary and (later) manager, there were a number of local Liverpool Christians who were particularly helpful in the ministry of the crossBeaTs (then called the 'Seekers'). Tom Cooper and the folk at St Leonard's Church were probably the earliest, but there were also others across the city of Liverpool. These included: Ben Smith, Richard Kayes, Dave Eastwood, Mike Bews and Ron Jones. A short note on each is included below. Ben Smith was the first person, outside St Leonard's Bootle, to help the crossBeaTs ministry. Ben worshipped at Orrel Park Baptist Church and was a soloist of the traditional 'church-type', with an impressive tenor voice. After hearing the group at an early booking at Orrell Park, Ben stated that he had been waiting and praying for a group of young Christians to use modern music to communicate the Gospel. Ben therefore used the group in his and others' ministry. It was he who got the group a number of bookings with the Merseyside Youth for Christ Choir in early 1963 and, in a way, made the group more acceptable to what was then a very traditional, and suspicious, 'Youth for Christ' organisation. YFC were into choirs and solists - and nothing more. 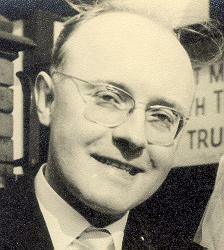 Ben moved to Ashton-in-Makerfield in the 1960s, and continued to use the group in missions there. Ben and his wife Eileen moved to the Midlands in 1971, where they were involved with Stafford & District council of churches. They later moved to Kendal, where Ben kept up his singing ministry. Sadly, Ben passed away in January 2003. Richard Kayes was pastor of The People's Church Everton. He and a team of others had been active in the 1950s in evangelism amongst young people in Liverpool - the "Teddy Boys" of the day. He was an extremely gifted communicator and, by the 1960s, was being used for evangelism by many Christian organisations in the North West of England and throughout the country. The crossBeaTs played at his church (The People's Church) a number of times, and also played with him at many venues in the North West. In all, there were about 15 occasions. 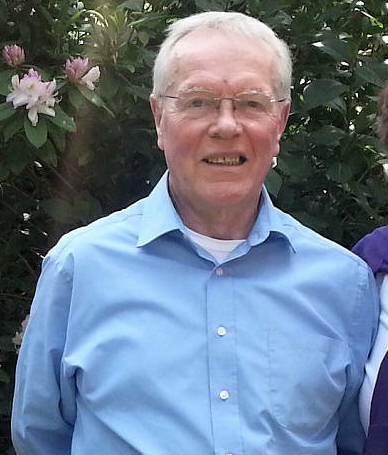 Some time in the 1960s or 1970s he left evangelistic and pastoral work, and worked for "Christian Aid" - at which point the group lost contact with him. Much later, he was to become minister of Harrogate United Reformed Church. 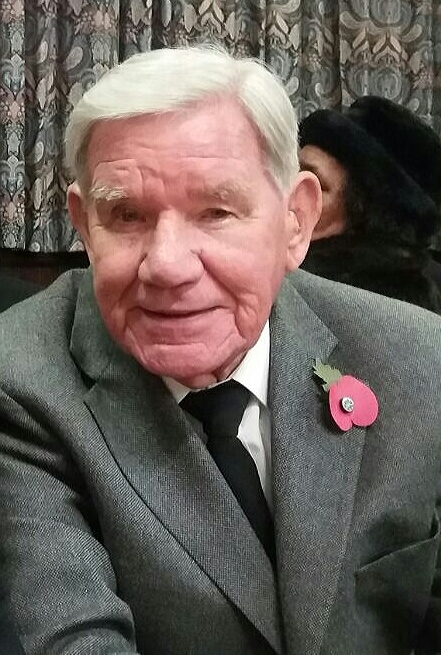 Richard Kayes passed away on 13 November 2016. This photograph shows him a few days before his death at the funeral of Stan Woods, whom I think was one of the "Teddy Boys" converted under his ministry. Dave Eastwood was a car mechanic on the Wirral (Carwood Motors) who attended Palm Grove Methodist Church. As a young "bubbly" youth leader and speaker, he was active in the Merseyside 'Youth for Christ' set-up. In the early days of the crossBeaTs , Dave was very supportive and encouraging of the ministry. He was interested in 'pop' music, so he was keen to support a group who attempted to put the Christian message across in this way. Dave helped us out with bookings and transport - though we broke down, on occasions, in the vans he supplied! He also organised missions at which he spoke, and to which the group contributed. Dave was the first full-time leader/pastor of the Catacombs Coffee Bar in Manchester. Dave's interest in popular music took over to some extent later as he moved more and more into secular DJ work, and from then on we lost touch with him. He worked as a DJ for various local radio stations (Liverpol, Manchester and eventually Southend). While working for Essesx Radio, he died of leukaemia in March 1989. The Dave Eastwood Leukaemia Appeal Fund was used to open a hospital ward at the Whitechapel Hospital. Mike Bews was a highly talented musician from Lisburn Road Aigburth, who can be seen at the organ in the photo for the Festival of Easter Praise at the Philharmonic Hall (28 March 1964). Mike worked for an electronics firm (Plessey Telecommunications? ), and travelled all around the world installing equipment (early computers?). He helped us out to get, first, some Stentorian loudspeakers and then Fane loudspeakers, when we made our PA system and bass cabinets (see equipment page). He also helped us with speaker enclosure design. Mike played the organ for the Merseyside YFC choir, and also played at other occasions and meetings where we were involved. Ron Jones was the leader of the Merseyside Youth For Christ Choir, and can be seen on the far left of the photo for the Festival of Easter Praise at the Philharmonic Hall (28 March 1964). He worshipped at Spellow Lane Church in Liverpool and was, as would be testified by anyone who met him, a most humble and devout Christian, who 'shone' Jesus to those he met. Many will testify to being brought to Christ through his life. Sadly, Ron died in 2003. Note that Mike Bews, Ben Smith and Richard Kayes were all playing, singing or speaking at the first 'Gospel Rhythm' Festival on 20 February 1965. If you can help to supply any extra information about these people, please get in touch.